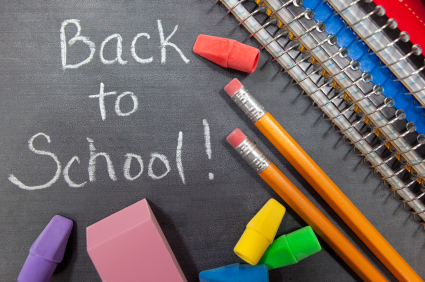 Back in the day, the dawning of September elicited a pervasive, vomitous feeling in the pit of my stomach, usually accompanied by visions of sitting in Math classes that seemed endless in their confusion and chalkboard hieroglyphics and obsessing over where/who I would sit with during lunch. First of all, school has been long over for me, and even though I’ve been contemplating taking a few courses (more on that below), those days are over. I’ll leave the vomitous feeling to the kiddies. But Before I Go…I need to clean my room here, the room I inhabit now, the room in which I presently lay my head. Because it is a travesty in there. It’s sad and scary and I think I may have some hoarding tendencies. I mean, there aren’t any dead cats or squirrels hidden somewhere, but I don’t think it’s normal to own that many clothes. So a definite goal, one that I’m definitely executing soon, is to clean the batcave. The J-O-B. A bit related to Goal #1, but whether or not I move to CA, I need a new job. For my sanity, well-being, wallet, and the general safety of certain people I work with. It.is.imperative. Stop Fretting Over This Hair. 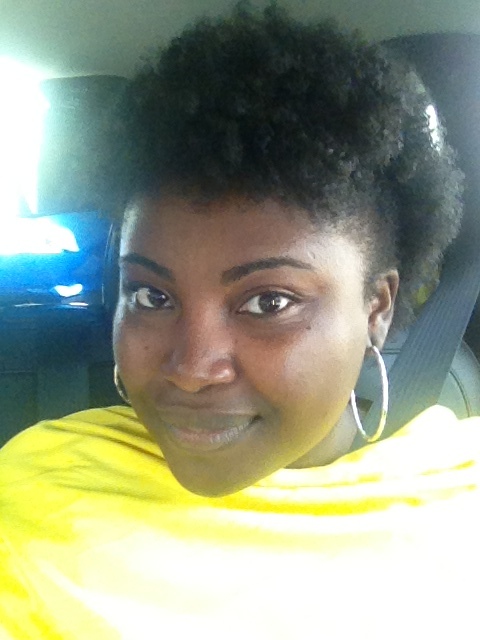 Are you all familiar with natural hair? If not, please visit the Google, and if you like, visit the blog I started last year about my transition to natural hair. I’ll warn you that it has about three entries and I have no idea when I’ll update it. Nevertheless, I’m very much in love with my now very natural hair. It’s thick and curly. And really, really, really thick and curly. A blessing and a curse, in other words. It’s so intense that I’m constantly on YouTube looking up videos on what next to do with it. It’s become insanely a bit out of control. So my goal is to be balanced. To stop being obsessed. To stop trying to make it look like something it’s not. To stop forcing new styles on my scalp every day. To just let it be. Amen and good night. Relax a Little, Won’t You? I shouldn’t have to wait until the last two weeks of August to relax, should I? No. Things like massages and grabbing a weekend to visit a museum and finding a respite won’t be relegated to the end of summer anymore. I need to breathe easy year-round. Edumacation. As mentioned above, I’d like to take a few classes. Improving job skills, learning something I know nothing about, etc. Ideally, to quote my Pops, I need to learn something practical. Perhaps something I can use to go into a new line of work. 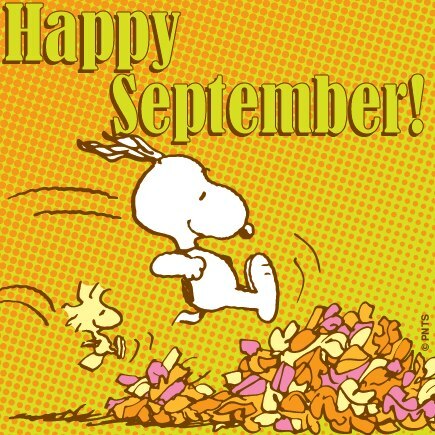 So, a few of my goals as we welcome September. Got anything planned? Categories A Few Words, Back huh?, challenge!, Fall Shmall., Plans., This Gun's for Hire. Things have been interesting lately. Recall that I said I would visit my Kitten Heel Home every once in a while? Well, here I am, to update you on things in my little world. And really, I could never seriously leave my Kitten Heel Marvel. Not in a million years. She’s just become the slightly red-headed (maybe brunette) stepchild to my Tumblr. Anyway, back to life, back to reality. Yeah, things have been interesting. For one thing, I’ve been writing like crazy. Seriously, perhaps the permanent vacation I thought my Muse was on is finally over. Inspiration has been seeping from the walls, the ceilings, everywhere. 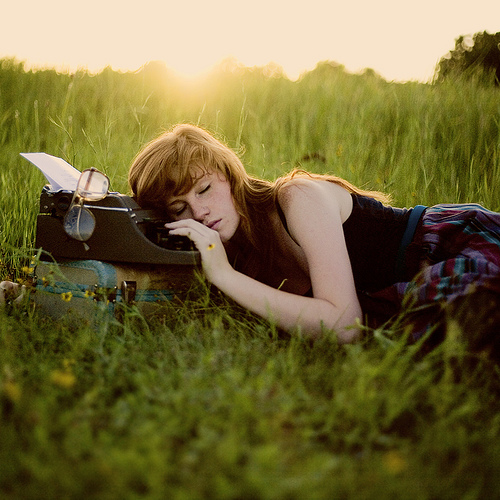 And–drumrolls, if you please–I just completed my latest short story. What? Yes! Amid the ten stories I’m currently and crazily writing at the same time, I actually sat on the couch last month and wrote this particular story longhand (haven’t done since antiquity) and finished it in one day. I have no idea what was going on. It was either a psychotic break or my Muse took some uppers and danced around in my head. Nevertheless, I am so proud of this stinkin’ story. It’s untimately a complex but feel good yarn about the responsibilities of family, love, and spider webs. Curious? What else else? I’m working. This is a good thing. The few pesos they bequeath upon me allow for the payment of bills and the purchase of extra coins for the online Family Feud game that I’m currently obsessed with enjoying. I will say, however, that it’s time for a change. The job hunt must commence. There are a few goals I have in mind, i.e., a new apartment, traveling, that will require a little more in the salary department. I don’t need Trump figures, but an improvement would be nice. Add to the fact that being an Admin has so run its course for me, it’s time for a change. What else else else? Oh. I have this crush. 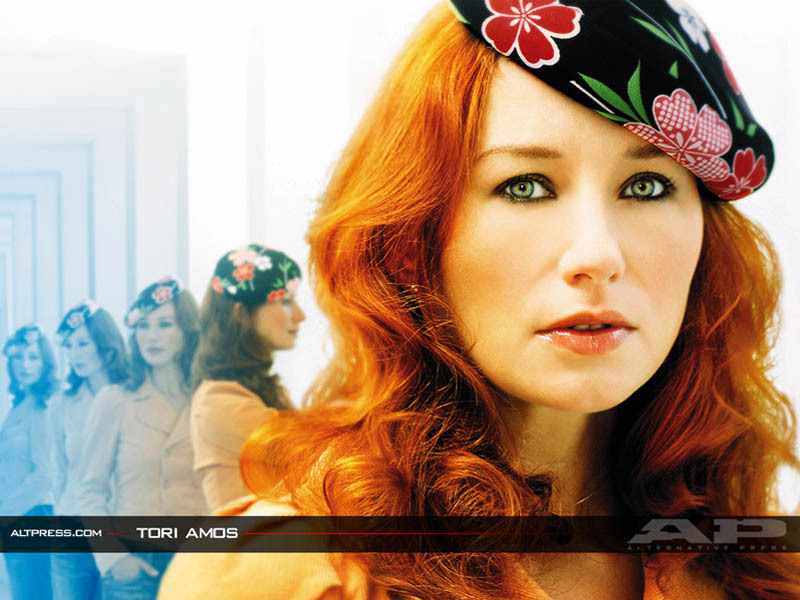 Have you heard *Cloud on my Tongue by my truest love, Tori Amos? (Are you, dear reader, a Tori fan? Please become one. Listen to her songs and weep and get lost in lyrics that will stupefy and confuse and thrill you. I’ve been musically stalking her since I was 15 years old.) In this song, one of my absolute favorites by Ms. Amos, she refers to said cloud, how “it goes”, and “he goes”, and “you’re already in there, I’ll be wearing your tattoo…” For me, the entire thing just signifies the entering and staying of someone who blankets your senses, your cells, your everything. (And this is my interpretation of it; another listener will interpret it differently, because that’s the essence of Tori’s songwriting abilities; it means something different to each listener.) Since I relate music to all of life, this song reminds me of how I’m feeling these days with this crush of mine. But only in certain ways. It’s atypical, this crush. (Kindly refresh your memory on what crushes usually are for me.) For one thing, yes, “he’s in there”, as Tori sings, and I’m going in a few “circles”, but I’m not really losing it. This is the quietest I’ve ever been about someone. I don’t even want to call it a crush. It’s a cloud. Light but heavy, in my head but above my head. You know? For another thing, precisely two people know his identity. Notable because my usual modus operandi is to inform you, your mother, and your grandmother about the latest superficial stealing of my heart, but not so, this time. This time, it’s…I don’t know. It’s different. Again, quiet. I thought I was “over the bridge now”, in the sense of being done with these things, but I’m not really even complaining about this one. I just like him. I just do. End scene. We’ll talk about that later. Was this a flimsy excuse to quote lines from one of my favorite songs by Tori Amos? Maybe. But the song seems viable now, for a few reasons. Ok, finit, for now. Categories :) :(, A Few Words, Back huh?, Him., Shmupdate. The Big Fat Bloggy Stew. Shall we? Long time, huh? I wanted to acknowledge that in my last post, but decided to just stick with my thoughts on that particular topic. But yeah, it’s been forever and ever and a zillion days. Why, you wonder? I don’t know. I suppose my current, diminished desire to write creatively (more on that later) affects my desire to visit the Marvel, as well. And it’s summer, it’s super hot, and I’m super blah. And hot. Really, really, hot. Uh, the above captures it all in a nutshell. Only two bullets, I know. I’m obviously losing it. Let’s see. I took a significant step in fulfilling a life goal related to my spirituality and learning a foreign language. Pretty, pretty awesome. So far, 1) all my French teachers and professors were right. I should have taken my French conversation far more seriously than I did in the past, instead of causing most of them to sigh and throw their hands up in frustration over my stubborn unwillingness to dig deeper and speak (I imagine they all got together one evening over croissants and wine to complain about me). As a result, all these years later, today, it’s a bit difficult for me to utter a complete sentence in French without throwing quite a bit English into it. But I’m giving it time. And I’m constantly learning. So it’s all good. By the way, don’t ask me why I was so stubborn back then when it came to speaking. 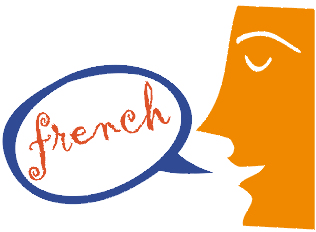 I thrived when it came to French vocabulary, art, history, culture…but conversation? The pits. I don’t know. My attempt at school-related rebellion. Anyway… 2) I’ve met new, wonderful friends in the process. A bunch of us even traveled together. And we survived without any tales of woe or attempted murder. Good times, indeed. What else? The fam is ok; my beloved little Bro had some health issues a few months ago (and I suppose a large part of me not posting had a lot with being worried about him and that worry taking over everything), but things have significantly improved, which is fanstastic. Every woman deserves to be properly wooed. I mean wooed, like courted and treated well and flowered and candied and listened to and the like. While it’s unrealistic to want what you’ve seen in any Hollywood rendering of “love”, it’s not unrealistic to want proper wooing. And I certainly don’t think the wooing should stop once you marry, either. If anything, it should grow. Spoken by someone who intends to be wooed. Men are not boys. Boys are not men. There is a marked difference. I will never have an open mind about brussel sprouts. (Seriously, never.) But I’m starting to understand that having an open mind when it comes to Love Shmove can be a beautiful thing. You just never know what the possibilities are and from where they will come. I have my creative highs, where I write like crazy and I’m thoroughly in love with the process. I have my creative lows, where tumbleweeds roll across the vast, super dusty stretches of my creative mind. Then I have what I’m currently feeling: creative laziness weirdness. The plots are there. The characters, the middle, the ending, the everything–all there. But I cannot summon the desire to write. Where is this laziness weirdness coming from? No, no, let’s be honest, shall we? It is laziness. I have absolutely no desire to write. And I don’t want to. I just don’t. So what are we going to do about it? Will telling myself to write something, even if it’s one sentence, be a delusion of grandeur, destined to never come to pass because I will undoubtedly break my own promise? Perhaps. But in the research I’ve done on blocks and laziness and everything writery under the sun, the key is always: write something, anything, every day. So I will, starting next week. (We are in the middle of the week, after all.) So who will keep tabs on yours truly? Who will follow up to see if I actually follow through and write something, anything, every single day starting next week? We’ll just have to go all honor systemy, won’t we? We’ll see. Welcome back, officially, Kitten Heel Marvel. Where has she been? The Marvel has been so quiet. Rather than answer, I’ll proceed with today’s post, with the excuse that my life has been a whirlwind of stress and work for the past month and a half or so, and the promise that I’ll do better with writing and updating. For the few eyes that drift over to this side of the world wide web, hello again. Onwards. Back in the day, I used to differentiate between the pals in my life as either friend or aquaintance. A friend was the die-hard, the always there, the we-have-nicknames-for-each-other, the friend forever, the we talk on the phone several times a week. An aquaintance was oh, hi, person I haven’t seen in months, how are you?, the we get togther once in a while, the comfortable yet somewhat distant person (and that’s ok with both of us), the casual relationship. These days, however, I’ve been thinking about that distinction. I’ve had the pleasure of beginning wonderful friendships in the past few months, and it’s gotten my brain going about the difference between types of friends and friendships. I’ve decided that the term “aquaintance” will be retired. It’s the kind of word that makes me queasy. Why? I don’t know. Reminds me of sterile waiting rooms and stomach aches. It’s not a happy word. Because even those casual, distance-y friendships are still friendships. The difference will now have to do with italics. A friend – encouraging, amazing, honest, direct, a bonafide listener, quiet, loud, simply amazing. A friend – happy to see you when you see each other, easy like Sunday morning, ok with not chatting that regularly but quite adept at chatting when it does happen, wonderful, simply amazing. Both are similar, aren’t they? Because even though there are varying levels of closeness, a friend is a friend is a friend. And I’m so grateful for mine. All of them. I got carried away. Notice that “life” replaced “love,” because life is certainly the theme of the day/week/forever, isn’t it? It changes and moves and it’s pretty interesting right now for ole Girley. What’s new, someone asks? Well, I’m still out of a job. Right now, I’m a temp extraordinaire, shuttling about this city, going on assignments and such. Permanence is good, it’s what I want, so I hope it happens. Not much else to say on that matter. My hair is still short and I still loves it. I started a ‘lil story. Yeah. It’s an old idea, a novel idea (both pun and literally), so we’ll see how it goes. I’m aiming to stick with it this time. No good movies lately. I’m on the “Benjamin Button” train, though, despite my growing belief that Pitt may be a jerk. For real. Did I just type that? I did. He seems kind of jerky! I had the misfortune of seeing a bit of his Oprah interview recently and I was like, wha? What’s wrong with this guy? He hardly looked at her; seemed irritated; seemed smarmy. I mean, yeah, I try to remain on the whole Oprah is kind of annoying team, but the rudeness seemed, well, rude. But the movie looks terrif.